In the Instant Pot, place the garlic and chicken broth, then press the saute button. 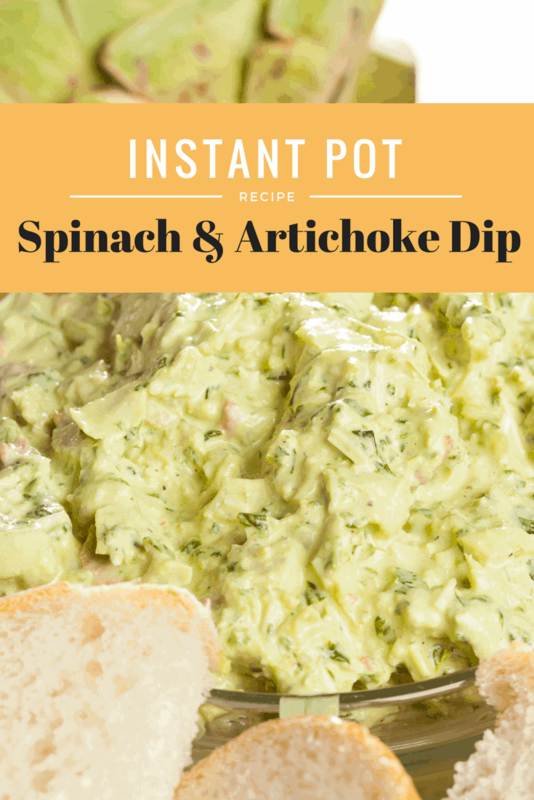 Let it saute for a couple of minutes, then add the frozen spinach, artichoke hearts, sour cream, mayo, cream cheese, cheese, salt and pepper. Add the lid, and make sure it's sealed. Then press the manual button and set the time for 4 minutes. Let it naturally release, when it's done cooking. Pour it into a bowl and serve with vegetables, crackers or chips.